On the corner of Royal and King St. sits a blue house that has been the coffee hub of Downtown Leesburg for 30 years. 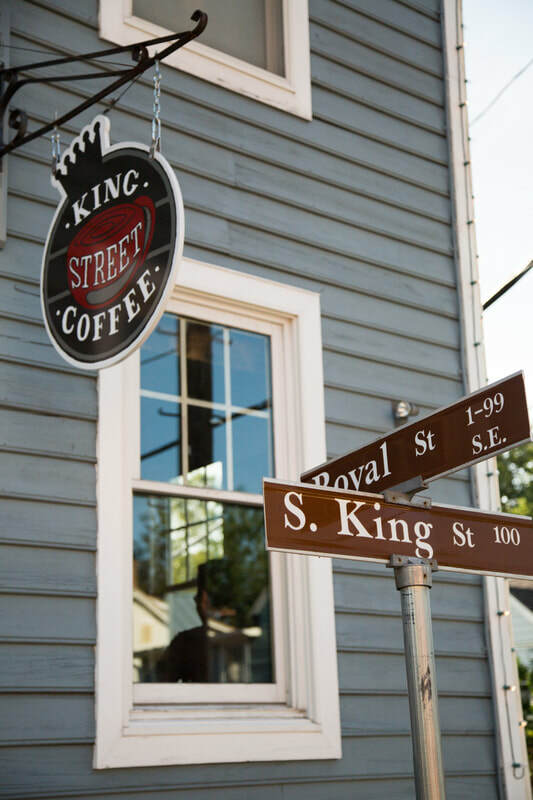 Although it hasn't always been named King Street Coffee, the spirit of Historic Downtown Leesburg has always been alive at this shop. We pride ourselves on many years of established friendships between customers and employees. Come inside and get comfortable, enjoy the aromas and conversation. Partnered with the best coffee Northern Virginia has to offer - Lone Oak Coffee Company, we provide an experience immediately felt when you walk through the door. ​We're not your commercial coffee shop. Here, we serve a variety of traditional espresso beverages that can transform your view on what coffee is supposed to taste like. 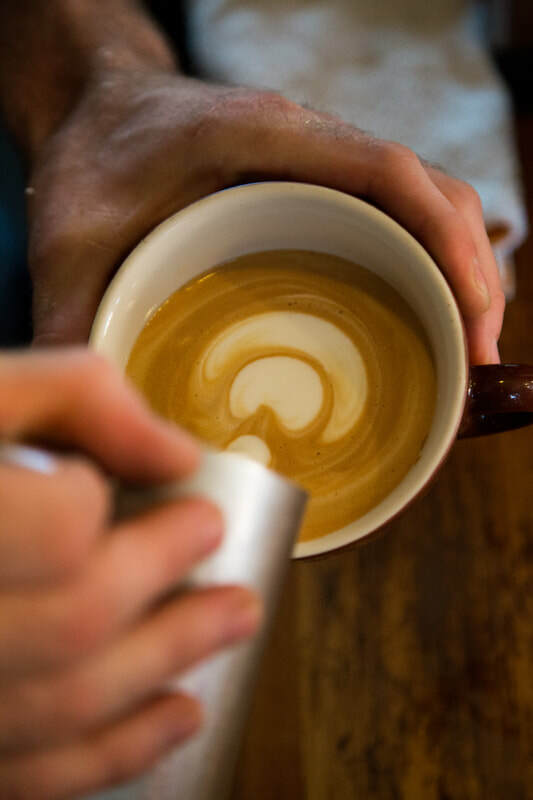 Our baristas are coffee enthusiasts who urge you to challenge your palette by trying something new. We trust that you will love every single sip. Always baked fresh and never packaged, we offer a wide variety of delicious quick bites and sweet treats from local bakers delivered fresh throughout the week. Ask us for a recommendation on pairings and we will never steer you wrong. Gluten free? Vegan? Well don't you worry, we are always working hard to make sure we have a variety to please all tastes.